Here is a card I made for my husband. He's always on the computer so this stamp was PERFECT for him ha ha! 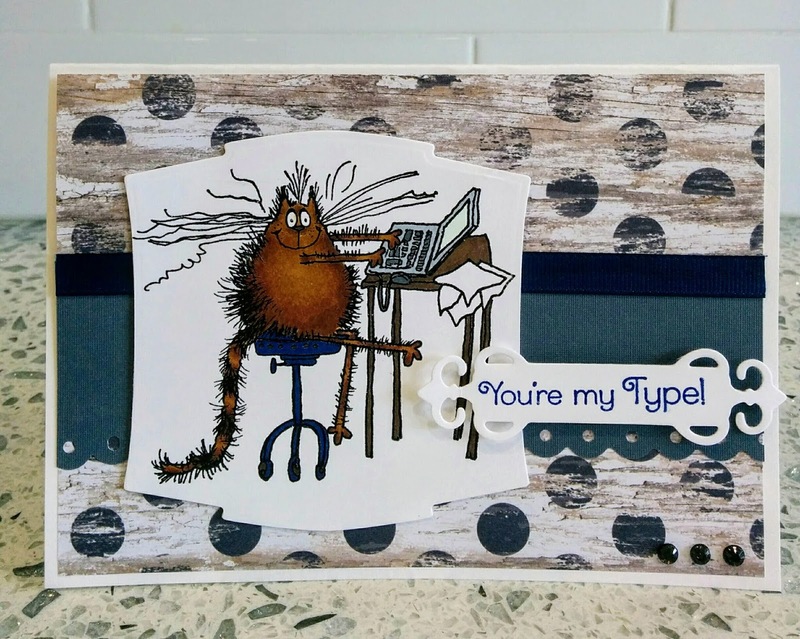 I used "You're my type" stamp from Penny Black. The Krafty Kats stamps are my all-time favorite collection from Penny Black. Aren't they so cute & funny? Fabulous fun card! I love the image you've used.